INDOVINA — About Becks "Serenade"
Beck's "Serenade" is a Super Bowl XLVII ad designed and directed at PSYOP in collaboration with Ad Agency Mother, London. It aired during the Super Bowl XLVII on February 3, 2013. 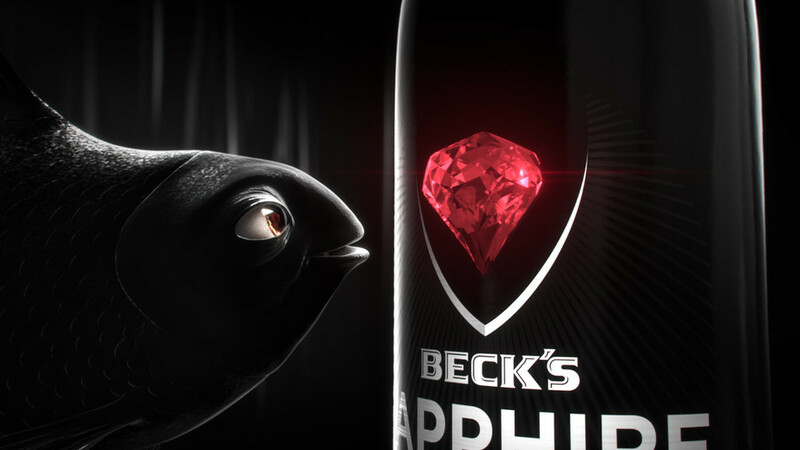 Mother tasked our PSYOP team with creating a stand out spot about a Black Moore goldfish who falls in love with a shiny red sapphire on Beck's Sapphire beer bottle. With a 3 week time frame, we designed, directed and produced the ad, creating a surreal, David Lynchian Twin peaks inspired curtain space for our hero to croon the object of his affection. The commercial was originally designed as a black and white film, with simple, subtle ques of rich red sapphire and golden hues of beer. It ended up being redesigned with red curtains. 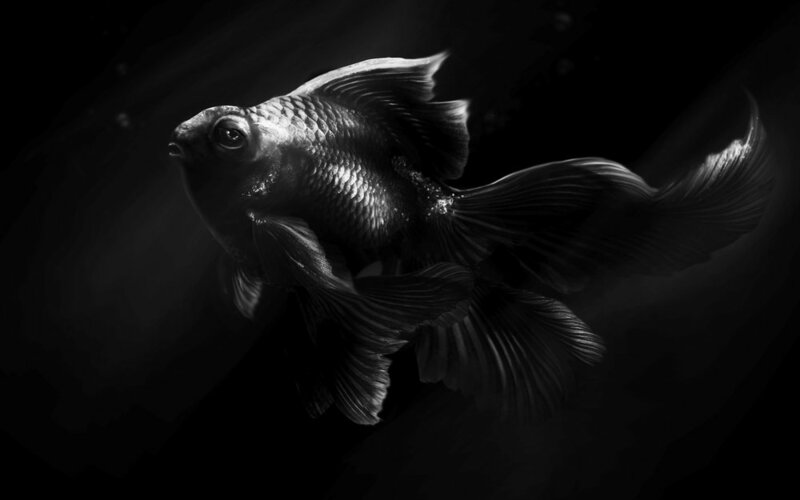 Additionally, the spot featured the Blackstreet hit "No Diggity", remixed by Chet Faker, which quickly moved to the top of the featured tracks on iTunes.